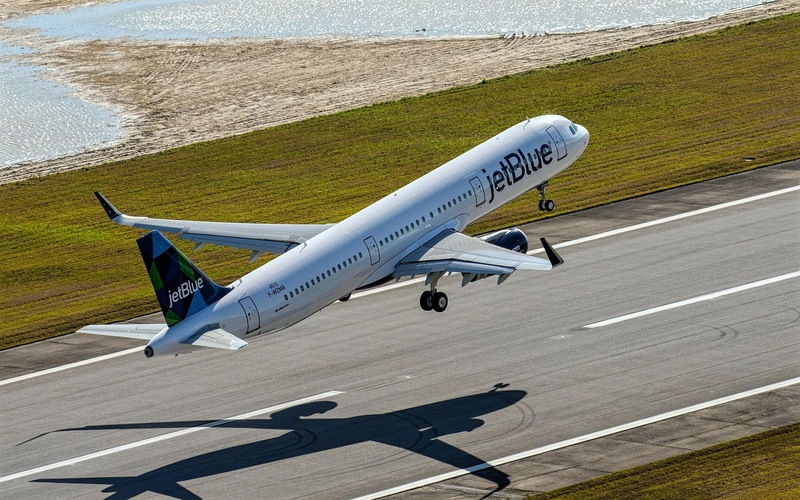 Airbus Receives 60 A320s Order from JetBlue. One of the largest US airline, JetBlue has signed an agreement to buy 60 A220-300 aircraft at a list price of USD 5.37 billion, Airbus said on Tuesday. "JetBlue today became the first customer for the new Airbus A220 aircraft brand, signing a memorandum of understanding for 60 firm orders for the larger A220-300 model," Airbus said in a statement. The announcement came a few hours after the aircraft manufacturer received the delivery of its first A220-300 jet, formerly the C series of the Canadian aircraft manufacturer Bombardier. Last year, Airbus bought a majority stake in the production of Bombardier's narrow planes of 100 to 150 seats. Airbus and Bombardier joined forces in an attempt to confront US archrival Boeing. In addition, JetBlue "converted 25 of its current orders for Airbus A320neo aircraft into orders for the larger A321neo, and the A321neos and A220 of JetBlue will have Pratt & Whitney GTF engines," Airbus said. "The selection of JetBlue's A220 aircraft as a complement to its growing A320 Family fleet is a tremendous endorsement - both of the A220 itself and of how these two aircraft can work together to provide flexibility for the air network and a large passenger experience, "said Airbus's chief commercial officer, Eric Schulz.